For the clothing store, see Banana Republic. For other uses, see Banana republic (disambiguation). The phrase banana republic was coined in 1901 by the American writer O. Henry (aka William Sydney Porter), 1862–1910. In political science, the term banana republic describes a politically unstable country with an economy dependent upon the exportation of a limited-resource product, such as bananas or minerals. In 1901, the American author O. Henry coined the term to describe Honduras and neighbouring countries under economic exploitation by U.S. corporations, such as the United Fruit Company. Typically, a banana republic has a society of extremely stratified social classes, usually a large impoverished working class and a ruling-class plutocracy, composed of the business, political and military elites of that society. Such a ruling-class oligarchy control the primary sector of the economy by way of the exploitation of labour; thus, the term banana republic is a pejorative descriptor for a servile dictatorship that abets and supports, for kickbacks, the exploitation of large-scale plantation agriculture, especially banana cultivation. In economics, a banana republic is a country with an economy of state capitalism, by which economic model the country is operated as a private commercial enterprise for the exclusive profit of the ruling class. Such exploitation is enabled by collusion between the state and favored economic monopolies, in which the profit, derived from the private exploitation of public lands, is private property, while the debts incurred thereby are the financial responsibility of the public treasury. Such an imbalanced economy remains limited by the uneven economic development of town and country, and usually reduces the national currency into devalued banknotes (paper money), rendering the country ineligible for international development credit. 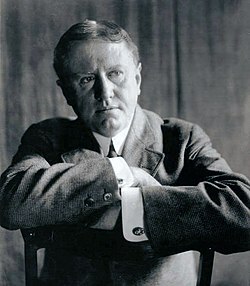 In the 19th century, the American writer O. Henry (William Sydney Porter, 1862–1910) coined the term banana republic to describe the fictional Republic of Anchuria in the book Cabbages and Kings (1904), a collection of thematically related short stories inspired by his experiences in Honduras, where he lived for six months until January 1897, hiding in a hotel in Trujillo, Colón, when he was wanted in the U.S. for embezzlement from a bank. In the early 20th century, the United Fruit Company, a multinational American corporation, was instrumental to the creation of the banana republic phenomenon. Together with other American corporations, such as the Cuyamel Fruit Company, and with occasional support from the United States government, the corporations created the political, economic, and social circumstances that established banana republics in Central American countries such as Honduras and Guatemala. The history of the banana republic began with the introduction of the banana fruit to the U.S. in 1870, by Lorenzo Dow Baker, captain of the schooner Telegraph, who bought bananas in Jamaica and sold them in Boston at a 1,000 percent profit. The banana proved popular with Americans, as a nutritious tropical fruit that was less expensive than locally-grown fruit in the U.S., such as apples; in 1913, 25 cents (equivalent to $6.34 in 2018) bought a dozen bananas, but only two apples. In 1873, to produce food for their railroad workers, the American railroad tycoons Henry Meiggs and his nephew, Minor C. Keith, established banana plantations along the railroads they built in Costa Rica; recognizing the profitability of exporting bananas, they began exporting the fruit to the Southeastern U.S. The banana planter: Minor C. Keith, American businessman. In the mid-1870s, to manage the new industrial-agriculture business enterprise in the countries of Central America, Keith founded the Tropical Trading and Transport Company: one-half of what would later become the United Fruit Company (UFC); later Chiquita Brands International, created in 1899 by merger with the Boston Fruit Company, and owned by Andrew Preston. By the 1930s, the international political and economic tensions created by the United Fruit Company enabled the corporation to control 80–90 per cent of the banana business in the U.S.
By the late 19th century, three American multinational corporations (the United Fruit Company, the Standard Fruit Company, and the Cuyamel Fruit Company) dominated the cultivation, harvesting, and exportation of bananas, and controlled the road, rail, and port infrastructure of Honduras. In the northern coastal areas near the Caribbean Sea, the Honduran government ceded to the banana companies 500 hectares per kilometre (2,000 acre/mi) of a laid railroad, despite there being neither passenger nor freight railroad service to Tegucigalpa, the capital city. Among the Honduran people, the United Fruit Company was known as El pulpo (The Octopus), because its influence pervaded Honduran society, controlled their country's transport infrastructure, and sometimes manipulated Honduran national politics with anti-labor violence. In 1924, despite the UFC monopoly, the Vaccaro Brothers established the Standard Fruit Company (later the Dole Food Company) to export Honduran bananas to the U.S. port of New Orleans. The fruit-exporting corporations kept U.S. prices low by legalistic manipulation of Latin American national land use laws to cheaply buy large tracts of prime agricultural land for corporate banana plantations in the republics of the Caribbean Basin, the Central American isthmus, and tropical South America; the American fruit companies then employed the dispossessed Latin American natives as low-wage employees. By the 1930s the United Fruit Company owned 3.5 million acres of land in Central America and the Caribbean and was the single largest landowner in Guatemala. Such holdings gave it great power over the governments of small countries. That was one of the factors confirming the suitability of the phrase Banana Republics. 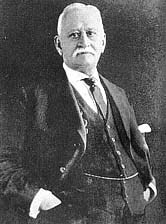 In the early 20th century, the American businessman Sam Zemurray (founder of the Cuyamel Fruit Company) was instrumental to establishing the "banana republic" stereotype, when he entered the banana-export business by buying overripe bananas from the United Fruit Company to sell in New Orleans. In 1910, Zemurray bought 6,070 hectares (15,000 acres) in the Caribbean coast of Honduras for use by the Cuyamel Fruit Company. In 1911, Zemurray conspired with Manuel Bonilla, an ex-president of Honduras (1904–07), and the American mercenary Gen. Lee Christmas, to overthrow the civil government of Honduras and install a military government friendly to foreign businessmen. To that end, the mercenary army of the Cuyamel Fruit Company, led by Gen. Christmas, effected a coup d'état against President Miguel R. Dávila (1907–11) and installed General Manuel Bonilla (1912–13). The U.S. ignored the deposition of the elected government of Honduras by a private army, justified by the U.S. State Department's misrepresenting President Dávila as too politically liberal and a poor businessman whose management had indebted Honduras to Great Britain, a geopolitically unacceptable circumstance in light of the Monroe Doctrine. The coup d'état was consequence of the Dávila government's having slighted the Cuyamel Fruit Company by colluding with the rival United Fruit Company to award them a monopoly contract for the Honduran banana, in exchange for the UFC's brokering of U.S.government loans to Honduras. The political instability consequent to the coup d'état stalled the Honduran economy, and the unpayable external debt (ca. 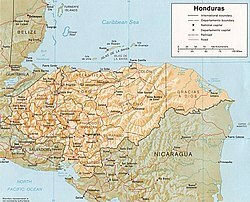 US$4 billion) of the Republic of Honduras was excluded from access to international investment capital. That financial deficit perpetuated Honduran economic stagnation and perpetuated the image of Honduras as a banana republic. Such a historical, inherited foreign debt functionally undermined the Honduran government, which allowed foreign corporations to manage the country and become sole employers of the Honduran people, because the American fruit companies controlled the economic infrastructure (road, rail, and port, telegraph and telephone) they had built in Honduras. In the event, the U.S. dollar became the legal-tender currency of Honduras; the mercenary Gen. Lee Christmas became commander of the Honduran army, and later was appointed U.S. Consul to the Republic of Honduras. Nonetheless, 23 years later, after much corporate intrigue among the American businessmen, by means of a hostile takeover of agricultural business interests, Sam Zemurray assumed control of the rival United Fruit Company, in 1933. Guatemala suffered the regional socio-economic legacy of the banana republic: inequitably distributed agricultural land and natural wealth, uneven economic development, and an economy dependent upon a few export crops—usually bananas, coffee, and sugar cane. The inequitable land distribution was an important cause of national poverty, and the concomitant sociopolitical discontent and insurrection. Almost 90 percent of the country's farms are too small to yield adequate subsistence harvests to the farmers, while two percent of the country's farms occupy 65 percent of the arable land, the property of the local oligarchy. During the 1950s, the United Fruit Company sought to convince the governments of U.S. Presidents Harry Truman (1945–53) and Dwight Eisenhower (1953–61) that the popular, elected government of President Jacobo Árbenz Guzmán of Guatemala was secret pro-Soviet for having expropriated unused "fruit company lands" to landless peasants. In the Cold War (1945–91) context of the pro-active anti-communist politics exemplified by U. S. Senator Joseph McCarthy in the years 1947–57, geo-political concerns about the security of the Western Hemisphere facilitated President Eisenhower's ordering and authorizing Operation Success, the 1954 Guatemalan coup d'état by means of which the U.S. Central Intelligence Agency deposed the democratically elected government (1950–54) of President Jacobo Árbenz Guzmán and installed the pro-business government of Colonel Carlos Castillo Armas (1954–57), which lasted for three years until his assassination by a presidential guard. A mixed history of elected presidents and puppet-master military juntas were the governments of Guatemala in the course of the 36-year Guatemalan Civil War (1960–96). However, in 1986, at the 26-year mark, the Guatemalan people promulgated a new political constitution, and elected Vinicio Cerezo (1986–91) president; then Jorge Serrano Elías (1991–93). With the poem "La United Fruit Co.", Pablo Neruda denounced the corporate subjugation of Latin America. ... The Fruit Company, Inc. The delicate waist of the Americas. The novel One Hundred Years of Solitude (1967), by Gabriel García Márquez, depicts the imperialist capitalism of foreign fruit companies as voracious socio-economic exploitation of natural resources of Macondo and of the people. Domestically, the corrupt national government of Macondo abets the business policies and labor practices of the foreign corporations, which brutally oppress the workers. The protagonist, José Arcadio Segundo, has been organizing the workers of the banana plantations to jointly affect a work strike to protest the inhumane working conditions. Martial law is imposed upon Macondo, and the workers respond by sabotaging the banana plantations. In unexpected response, the national government diplomatically invites more than 3,000 workers to meet with provincial leaders to resolve their labor-and-management differences. The meeting is a deceit; the army surrounds the workers and methodically kill them with machine guns. Afterward, the three thousand corpses are collected onto a train and later dumped into the sea, to be forgotten. Meanwhile, the apparently dead José Arcadio Segundo also was loaded onto the coast-bound train of corpses, yet later escapes and walks back to Macondo. To his horror, José Arcadio learns that all memory of the massacre has been eliminated, no-one in Macondo remembers the killing of three thousand workers. The townsfolk refuse to believe José Arcadio when he tells them of the massacre, which he survived. Moreover, nature contributes to the oblivion with heavy, unrelenting rain that destroys the physical traces of the massacred workers. Woody Allen's 1971 film Bananas depicted a fictional banana republic called San Marcos; the film is also named for this term. Tropico is a series of banana republic simulator games, where as 'El Presidente' the player may choose between tradition or revolution, and laissez-faire or authoritarianism. The 2018 video game Red Dead Redemption 2 includes a fictional Caribbean island banana republic called Guarma. 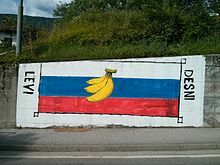 Graffiti implying banana republic in Slovenia. Countries that obtained independence from colonial powers in the 20th and 21st centuries have at times thereafter tended to share traits of banana republics due to influence of large private corporations in their politics, for example; Maldives (resort companies), Chile (foreign mining companies) and the Philippines (tobacco industry, American government and corporations). On 14 May 1986, then Australian Treasurer Paul Keating stated that Australia might become a banana republic. This has received a lot of commentary and criticism[excessive citations] and is seen as part of a turning point in Australia's political and economic history. ^ Richard Alan White (1984). The Morass. United States Intervention in Central America. New York: Harper & Row. ISBN 978-0-06091145-4. ISBN 0-06091145-X. ^ a b c "Big-business Greed Killing the Banana (p. A19)". The Independent. 24 May 2008. Archived from the original on 17 January 2013. Retrieved 24 June 2012 – via The New Zealand Herald. ^ Christopher Hitchens (9 October 2008). "America the Banana Republic". Vanity Fair. Retrieved 24 June 2012. 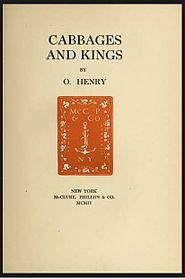 ^ O. Henry (1904). Cabbages and Kings. New York City: Doubleday, Page & Company. pp. 132, 296. ^ Malcolm D. MacLean (Summer 1968). "O. Henry in Honduras". American Literary Realism, 1870–1910. 1 (3): 36–46. JSTOR 27747601. ^ Chapman, Peter (2009). Jungle capitalists : a story of globalisation, greed and revolution. Edinburgh New York: Canongate. p. 6. ISBN 1847676863. ^ Alison Acker (1988). Honduras. The Making of a Banana Republic. Toronto: Between the Lines. p. 60. ISBN 978-0-919946-89-7. ISBN 0-919946-89-5. ^ a b c Dan Koeppel (2008). Banana. The Fate of the Fruit that Changed the World. London: Hudson Street Press. p. 68. ISBN 978-1-59463-038-5. ISBN 1-59463-038-0. ^ a b Alison Acker (1988), p. 63. ^ a b Peter Chapman (2007). Bananas. How the United Fruit Company Shaped the World. Edinburgh: Canongate. p. 102. ISBN 978-1-84195-881-1. ISBN 1-84195881-6. ^ Livingstone, Grace (4 April 2013). "America's Backyard: The United States and Latin America from the Monroe Doctrine to the War on Terror". Zed Books Ltd. Retrieved 22 March 2018 – via Google Books. ^ Darío A. Euraque (1996). Reinterpreting the Banana Republic. Region and State in Honduras, 1870–1972. Chapel Hill, North Carolina: University of North Carolina Press. p. 44. ISBN 978-0-8078-4604-9. ISBN 0-80784604-X. ^ W.S. Valentine (November 1916). "Need for Capital in Latin America: Honduras". Annals of the American Academy of Political and Social Science. Thousand Oaks, California: SAGE Publications. 68: 185–87. JSTOR 1013083. ^ George Black (1988). The Good Neighbor: How the United States Wrote the History of Central America and the Caribbean. New York City: Pantheon Books. p. 35. ISBN 978-0-394-75965-4. ISBN 0-39475965-6. ^ Koeppel, Dan (8 June 2008). "Yes, We Will Have No Bananas". The New York Times. Retrieved 11 January 2017. ^ Carol A. Smith (August 1978). "Beyond Dependency Theory: National and Regional Patterns of Underdevelopment in Guatemala". American Ethnologist. American Ethnological Society. 5 (3): 574–617. doi:10.1525/ae.1978.5.3.02a00090. JSTOR 643758. ^ George Black (1988), p. 33. ^ Corr, Anders S.; Tacujan, Priscilla A. (July 2013). "Chinese Political and Economic Influence in the Philippines: Implications for Alliances and the South China Sea Dispute". The Journal of Political Risk (pub by Corr Analytics Inc.). 1 (3). Retrieved 7 January 2015. ^ "Maldives election chaos fuels 'banana republic' fears". Asia One News. 20 October 2013. Retrieved 19 March 2014. ^ Aquino, Tricia (3 February 2014). "Which public health policy in ASEAN is most susceptible to tobacco industry influence". Interaksyon. Retrieved 19 March 2014. ^ Philippines - Period of American influence. Encyclopædia Britannica. UK. 2014. ISBN 978-1-59339-292-5. ^ Barton, Russell; Short, Michael (15 May 1986). "Keating gloom: $ falls". The Age. Fairfax Media. ^ Cleary, Paul (17 May 1996). "What will we do when it's all been sold?". The Sydney Morning Herald. Fairfax Media. ^ Cleary, Paul (13 June 1998). "If the economy's so good, how come the dollar's so bad?". The Sydney Morning Herald. Fairfax Media. ^ Byrne, Patrick J. (18 December 2004). "ECONOMICS: Australia's $403 billion foreign debt: hail the banana republic!". News Weekly (2697). National Civic Council. Retrieved 7 January 2015. ^ Garnaut, John (2 March 2005). "Worst deficit in 50 years spells banana drama". Sydney Morning Herald. Fairfax Media. Retrieved 7 January 2015. ^ Colebatch, Tim (15 May 2006). "20 years from Keating, what price a banana now?". The Age. Fairfax Media. Retrieved 7 January 2015. ^ "Banana republic? No, worse: like NZ". The Canberra Times. Fairfax Media. 13 September 2007. ^ van Onselen, Leith. "Revisiting the banana republic". www.macrobusiness.com.au. Macro Associates Pty Ltd. Retrieved 7 January 2015. ^ Jericho, Greg (1 January 2014). "Cabinet papers show Paul Keating had a 'budget emergency' of his own". The Guardian (Australia Edition). Guardian Media Group. Retrieved 7 January 2015. ^ Crotty, Martin; Andrew Roberts, David (2009). Turning Points in Australian History (1st ed.). Sydney Australia: UNSW Press. pp. 224–238. ISBN 978-1-921410-56-7.